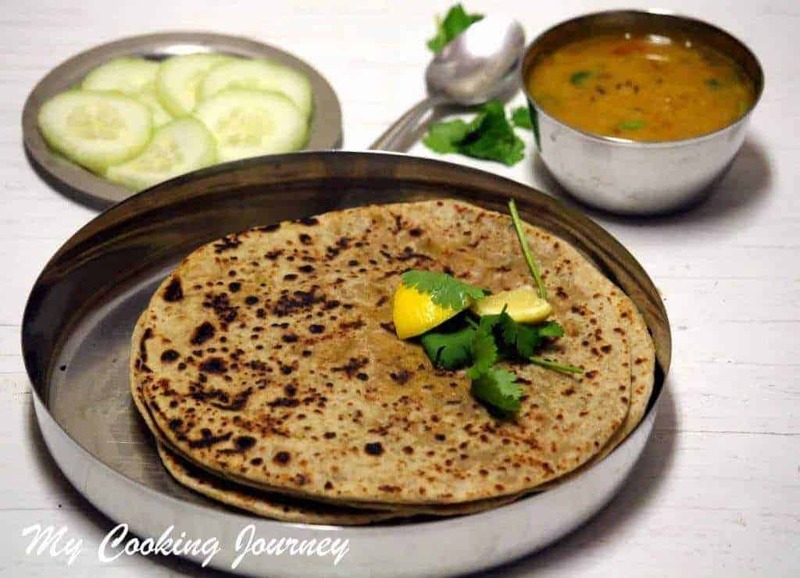 Stuffed paratha is the best way to get loads of vegetables in the diet. 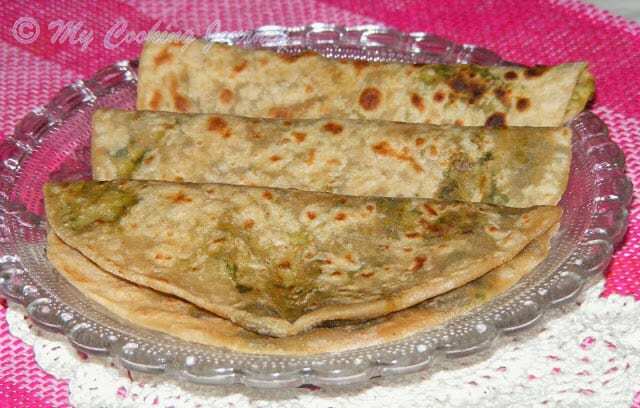 I have found that stuffed parathas are loved by kids and is always welcome in my house. 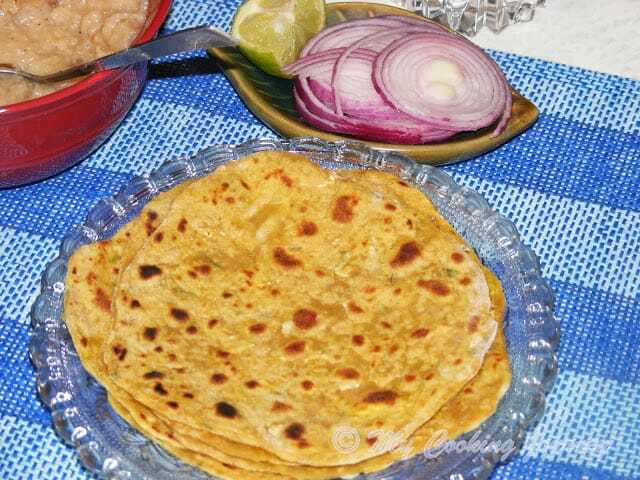 Aloo paratha or potato stuffed paratha is one of the most common parathas made. 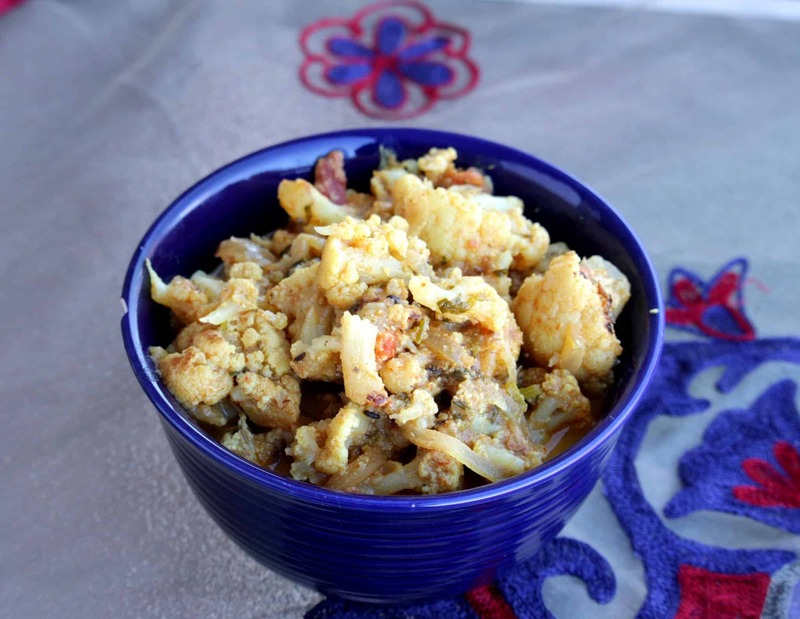 Gobhi or cauliflower works great as stuffing. 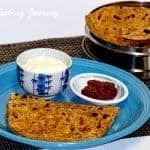 The best part is all of us in my house love cauliflower, so Gobhi Paratha was really something that my kids look forward to eat. 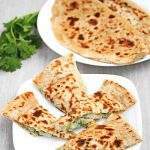 I always make a very simple raita or salad when serving stuffed parathas, as they by themselves are pretty heavy and is spiced. So they really do not need any special side dish. 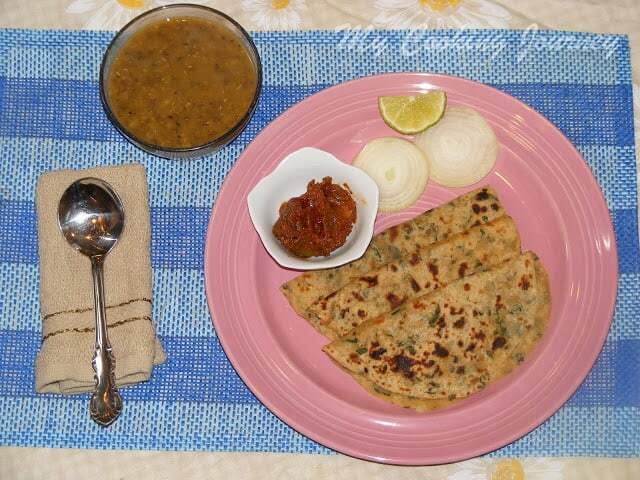 Stuffed parathas with some dal and yogurt is the classic comfort food. 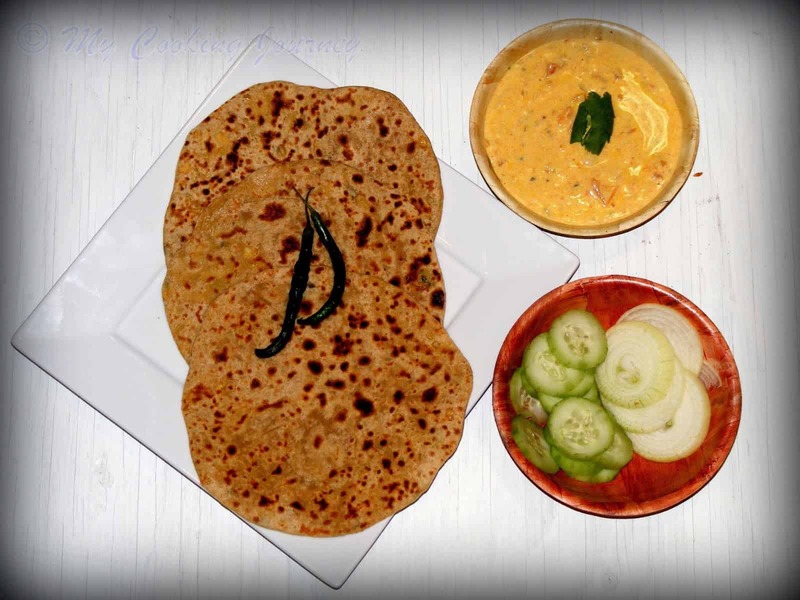 I grew up in the North and hence was exposed to any different kinds of parathas. 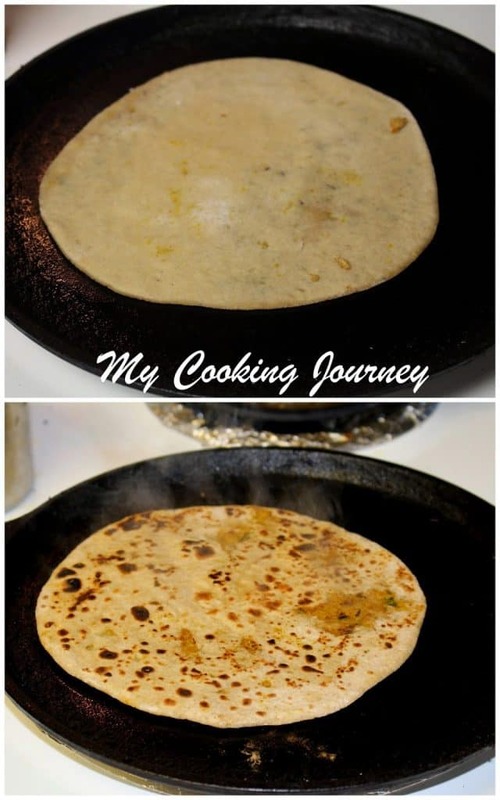 My mom makes really good parathas and I have been watching her from my very young age. This week theme for Blogging Marathon is ‘pick one and do three’ where Valli had suggested 3 categories or stubs from Wiki pages. She had asked us to choose three different recipes from one category or one recipe from each category. I am going to be doing one recipe from each category and my first category is Bread Stub. 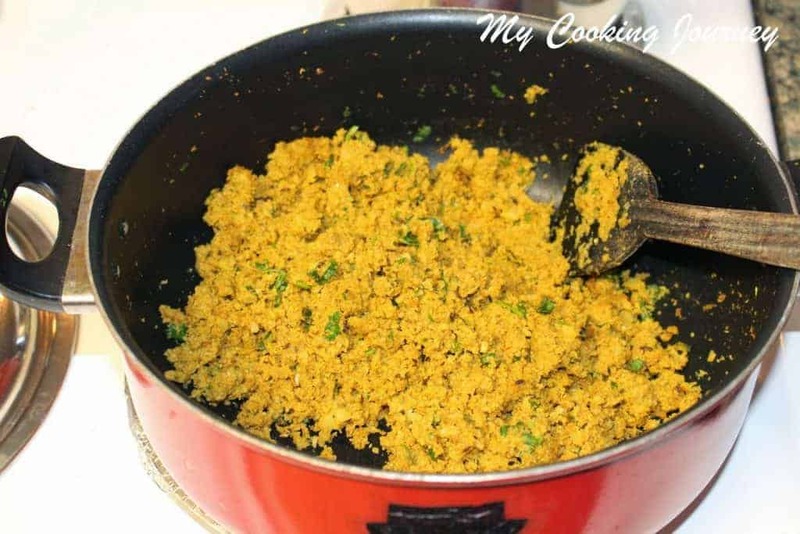 In a wide bowl, add the wheat flour and salt and mix. Add the oil and mix. 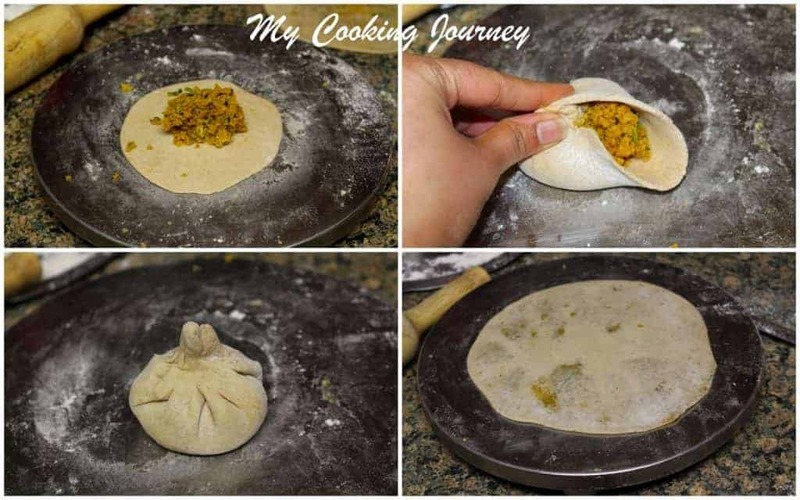 Slowly add water to make soft dough. Knead it for few minutes and then cover with a plastic wrap. Let the dough rest for at least ½ an hour. Remove the florets from the cauliflower and place them in very hot water for about 5 minutes. Drain the water and then pat it dry. This removes any dirt or worm from the cauliflower. 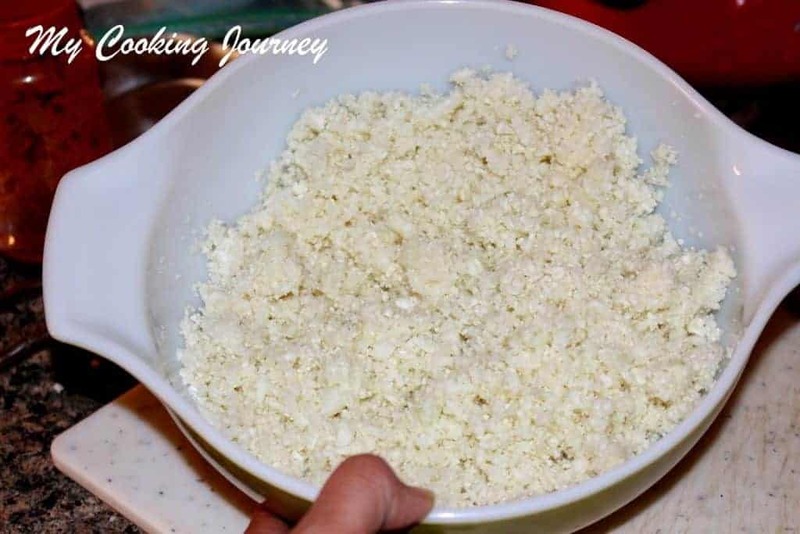 Now place the cauliflower in a food processor and process it until it is fine and crumbly. You could grate the cauliflower using a fine grater as well. 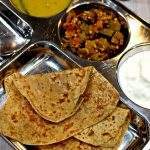 Make sure that the pieces are very small since that will be really helpful when rolling out the parathas. 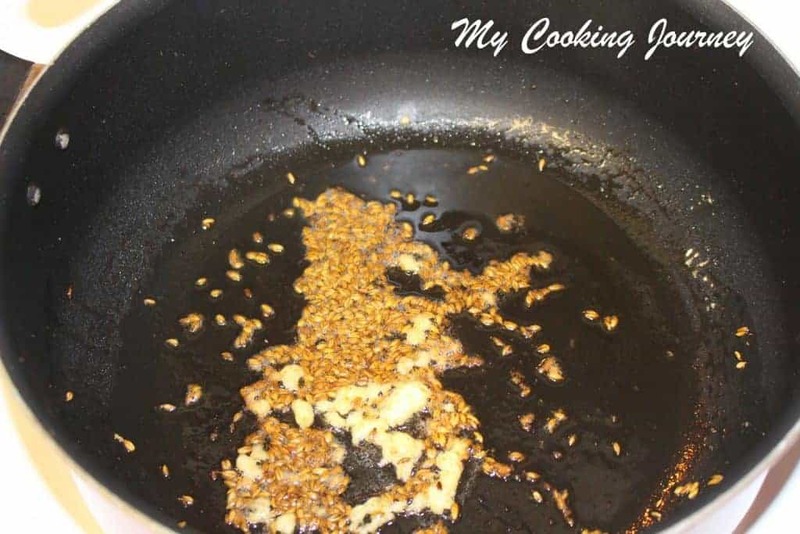 In a pan, heat the oil and add the cumin seeds. Once the seeds crackle, add the ginger and fry for about 10 seconds. Add the cauliflower and all the other spices along with salt and mix well. Cook over low to medium flame for about 5-7 minutes. Keep stirring often to avoid burning. Add the chopped cilantro at the end and mix well. 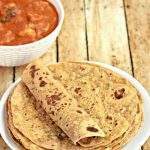 Let the mixture cool down entirely before making parathas. Make about 12 equal sized balls from the dough. Working with one ball at a time, roll it into a small disc. When rolling focus on making the center thicker than the sides. 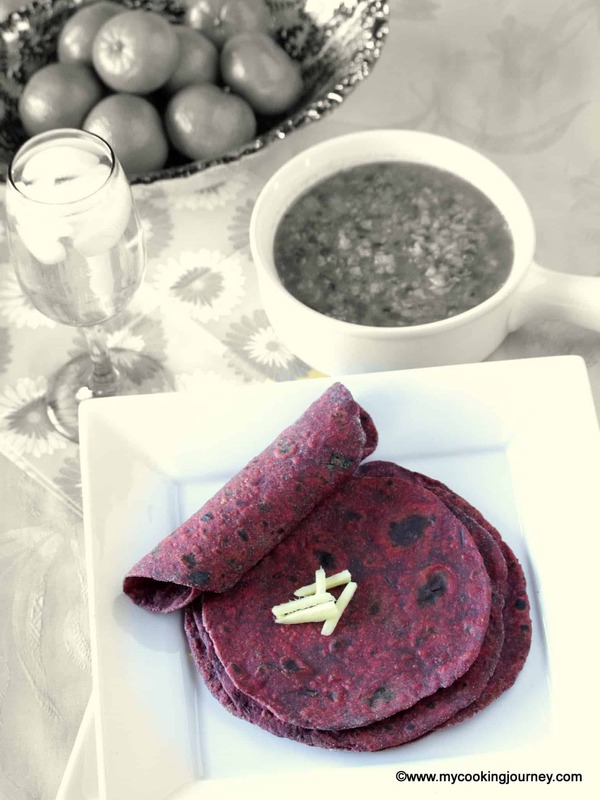 Place a heaped tablespoon or two of the cauliflower mixture in the center of the disc. Bring the sides together and then pinch and seal. 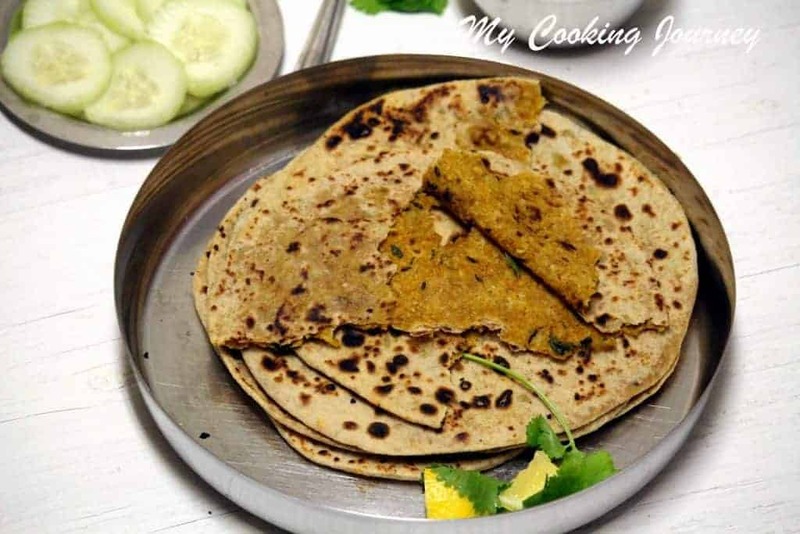 Dust with wheat flour or all purpose flour and roll it out into a thin disc. Make sure you apply gentle pressure. The filling might seep out for a couple of them until you get a hang of how much filling is the right amount. 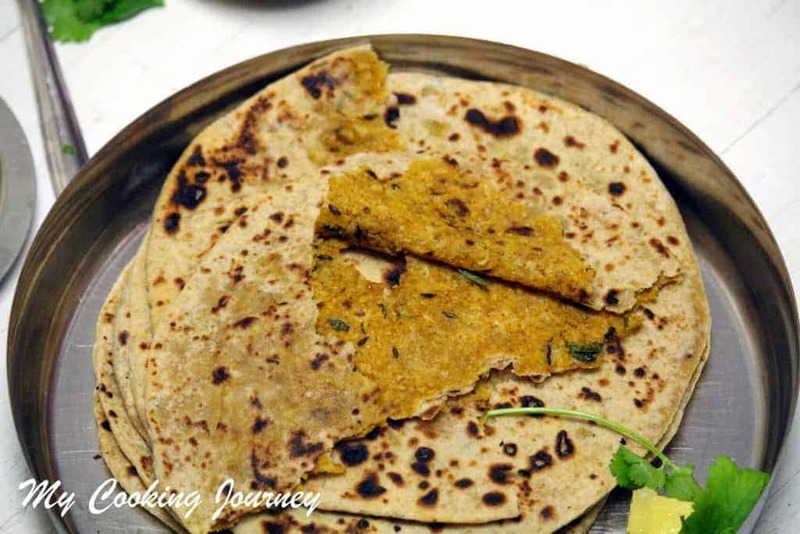 Cook it on a hot tawa applying enough oil or ghee on both sides. Cook until it is golden brown and then remove. 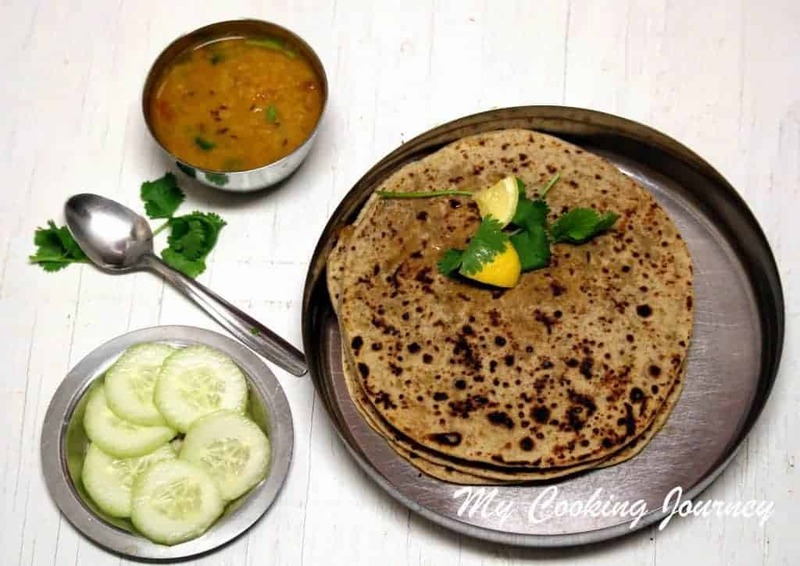 Serve with dal, pickle and yogurt. It is best served when steaming hot.